If you recognise you’re not working as quickly, simply, and flexibly as you need to be, then you’re ready to incorporate a more modern enterprise management solution. 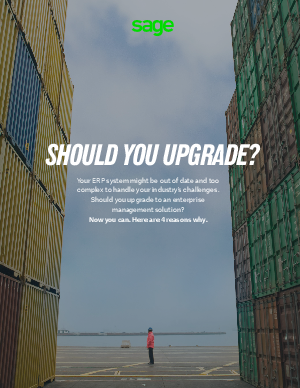 If you’re still not sure whether you need a new way to manage your business, here are the top four reasons to upgrade. Request a business review and discover how the right enterprise management solution can help you manage growth, improve efficiency, make smarter decisions, and reduce IT cost and complexity.